Published January 13, 2017 at 650 × 831 in Music. 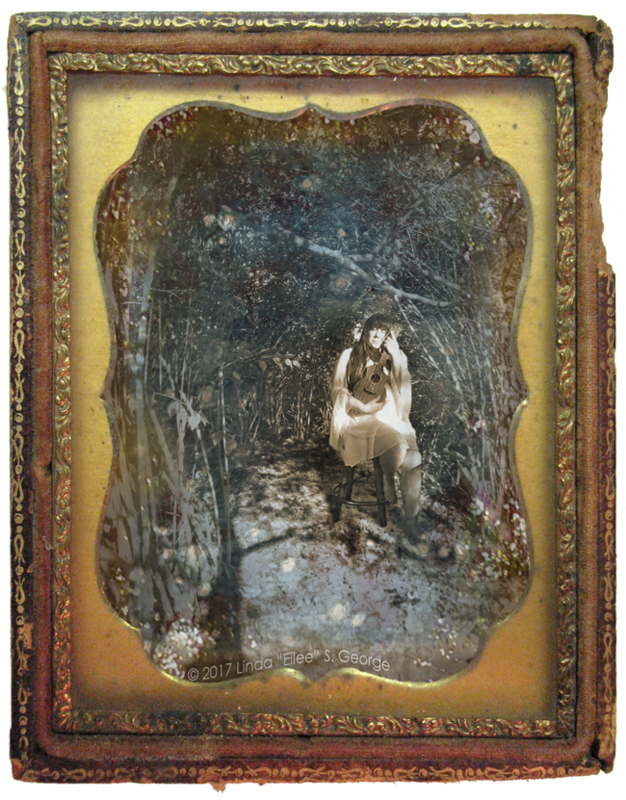 Eilee and her ukulele in a secluded woodland nook, in an antiqued frame and Daguerreotype-style sepia look – Eilee George of eileegeorge.com exhibits unique concepts and images of her own creation – this is a copyrighted image (and photo/detail) © 2016 L. Eilee S. George, All Rights Reserved. Not to be used in whole or in part or any derivative thereof, without strict written permission by L. Eilee S. George.